It sometimes feels that West Ealing is caught in a ‘perfect storm’ of reasons to attract street drinkers. West Ealing is home to Ealing Magistrates Court in Green Man Lane, the Probation Service in Leeland Road, RISE (drug and alcohol recovery service) in St James Ave and, at least what was, a 24-hour off licence at International Broadway. Finally, near all of these is Dean Gardens which offers a very accessible venue for street drinkers with excellent public transport links. The situation with International Broadway may have changed for the better as it has now got a new name, Istanbul Gate, and no longer appears to sell alcohol. International Broadway lost its licence at a recent review but appealed and the appeal hearing was due to be heard in August. How this now stands with the change of name and withdrawal of alcohol is not yet clear. All of this makes it very challenging for WEN and other groups and agencies who are working hard to find ways to tackle the problems of anti-social behaviour blighting parts of West Ealing. To give just three examples of the sorts of problems involved. Firstly, residents of the sheltered accommodation in O’Grady Court, above the library, have had to call out the police over a dozen times since the start of the year. They have been disturbed late night time and time again by rowdy, drunken behaviour. 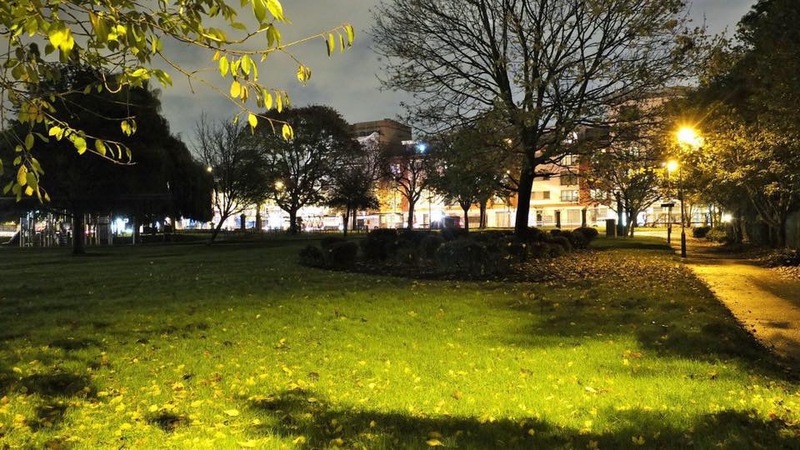 The second example is the impact of street drinkers on the residents of Pioneer Court which backs on to the Dean Gardens car park and overlooks Dean Gardens. Street drinkers frequently gather late night in the car park under the windows of Pioneer Court and keep residents awake many nights of the week. The third example is regular daytime gathering of street drinkers in and around Melbourne Avenue. They can gather in quite large groups and can be intimidating to many. The nearby shops and traders are suffering with shoplifting, loss of trade and disturbance to customers. There are no easy answers to this problem and it’s not just one faced by West Ealing. Street drinking and other anti-social behaviours are problems for many high streets. Nevertheless, WEN is working with the Council, faith groups, West Ealing Centre Neighbourhood Forum, other residents; groups, housing associations and a range of agencies to see what can be done to improve the situation in West Ealing. Our starting point is Dean Gardens. We want to look at ways to make it safer for everyone at all times of day or night. At present it is well used in daylight hours. Once it’s dark the nature of it changes and it becomes a safe haven for street drinkers, drug dealers and other anti-social activities. This group has been meeting for six months and contributed evidence to the Council’s reviews of alcohol licences for both the Cudi supermarket and International Broadway. As already mentioned, International Broadway had its licence revoked as did Cudi. In addition, the group has now raised £5,000 to commission a study to review what options are available to redesign Dean Gardens to reduce the anti-social behaviour. Options could include improving sight lines across the park, opening up more pedestrian routes to residential housing to the south, improving the lighting, introducing more sports/activities facilities and much more. We hope to commission the report this month.Most recently, WEN helped organise a meeting with the police to focus on the particular problems experienced by shops, businesses and residents of Melbourne Avenue. We were able to explain to the police just how much disturbance is caused at all times of day and night, especially to residents of the sheltered accommodation in O’Grady Court above the library. We will meet again in three months’ time to see if the police have been successful in improving the situation. Residents in some of the streets in West Ealing recently launched an [CR][NL]online petition asking for the Council to carry out a consultation about[CR][NL] parking in one of the last non-CPZ enclaves left in West Ealing – the [CR][NL]streets bordered by Northfield Ave in the east, Leighton Road to the [CR][NL]south, Grosvenor Road in the west and the Uxbridge Rd/Broadway to the [CR][NL]north. [CR][NL]‘Due to tube/train commuters and holidaymakers parking their vehicles in[CR][NL] our roads parking capacity is severely restricted for residents, home [CR][NL]workers, ‘school runners’, visitors and shoppers in the West Walpole [CR][NL]area in West Ealing. With the freshly painted double yellow lines in [CR][NL]Sherwood Close together with Crossrail coming and the estate [CR][NL]regeneration this parking pressure will only increase. (Area to include [CR][NL]north from Leighton Road, west of Northfield Ave, east of Grosvenor [CR][NL]Road, south of The Broadway in West Ealing – inclusive of those roads)’. As it turned out, local councillors were already aware of these problems[CR][NL] and it looks likely there will be a consultation about a CPZ in this [CR][NL]area. [CR][NL]This parking problem in these narrow streets has been building up for a [CR][NL]while. As other nearby areas have had CPZs introduced more and more [CR][NL]cars have been trying to park in an ever decreasing area and it’s now [CR][NL]reached breaking point. I noticed the newly-painted double yellow lines [CR][NL]in Sherwood Close recently and knew it would have a serious impact as [CR][NL]the number of cars parked there and down Bowmans Close has increased [CR][NL]dramatically in the last 12 months. These yellow lines have slashed the [CR][NL]available parking space here considerably. What is more, I imagine [CR][NL]parking problems will only get even worse now the redevelopment of the [CR][NL]Sherwood Close Estate is underway. [CR][NL]I live in one of the streets in this area and there are a couple of [CR][NL]points worth thinking through as part of any consultation. Firstly, is [CR][NL]the parking problem just during office hours? Where I live it’s been [CR][NL]difficult for many years to park near my house during office hours. [CR][NL]I’ve got used to that. What has changed though is that it’s now almost [CR][NL]as difficult to park near my house in the evening and a CPZ will not [CR][NL]change this at all. The evening problem is simply the increase in the [CR][NL]local population with more multi-occupied houses and houses being [CR][NL]divided in to flats. There are quite simply a lot more people living in [CR][NL]these streets than 10 years ago and quite a few of these people own [CR][NL]cars. I don’t see any answer to this. [CR][NL]Secondly, quite a few people who work in West Ealing park in these [CR][NL]streets. No doubt some could come to work on public transport rather [CR][NL]than by car but can they all? It’s important to think through the full [CR][NL]implications of introducing a CPZ in these streets and how it will [CR][NL]affect the livelihoods of people working here and the shops and [CR][NL]businesses they work for. I can see a CPZ with restrictions from, say [CR][NL]9-10am and 3-4pm, might not have that much of an impact on local people [CR][NL]who drive to shop in West Ealing but it’s important to take in to [CR][NL]account the impact on our high street. [CR][NL]The hoardings are up and the bulldozers are in as work starts on the [CR][NL]redevelopment of the Sherwood Close Estate. It’s a five year project [CR][NL]which will see major changes new residents. BHS should have been demolished by now but the bulldozers have been [CR][NL]delayed for a year. The developers Southern Grove have postponed their [CR][NL]plans. Maybe they are waiting to secure the next door site above Wilko’s[CR][NL] as they stated in their planning application? Then they could carry out[CR][NL] a much bigger development. [CR][NL]This site has had an interesting recent history. This BHS store was sold[CR][NL] in a separate deal before the chain was sold for £1 to Dominic [CR][NL]Chappell. The West Ealing BHS store was sold to Sir Philip Green’s [CR][NL]son-in-law Brett Palos for £6.9million. He sold it on to the developers a[CR][NL] few months later for a £3million profit. The idea behind West Ealing Online is to create a website that becomes [CR][NL]the first port of call for all things West Ealing. Whether it’s the [CR][NL]latest local news, what events are coming up, where to find local [CR][NL]tradespeople or your chance to share your views on issues that concern [CR][NL]you ….and much more…West Ealing Online will be the site to go to. More [CR][NL]news on progress in our next newsletter. WECNF embarked on an informal public consultation on its draft [CR][NL]Neighbourhood Plan on 15 February 2016. We extended the original four [CR][NL]week period in order to get valuable feedback from the London Borough of[CR][NL] Ealing, the West Ealing Business Improvement District and West Ealing [CR][NL]Neighbours. [CR][NL]The feedback received was discussed at length at the WECNF Management [CR][NL]Committee (MC) meeting held on 12 April 2016. Details of the [CR][NL]deliberations and decisions can be found in the detailed meeting Minutes[CR][NL] at www.wecnf.org. Also here can be found a summary spreadsheet which [CR][NL]shows how the 90 substantive comments were handled. Since then we have [CR][NL]had significant further feedback and discussion on our plans for Dean [CR][NL]Gardens and our draft parking policy. We hope to have a final version of[CR][NL] our draft plan completed for formal (Regulation 14) public consultation[CR][NL] by the end of June 2016. [CR][NL]The forum’s Annual General Meeting will take place at the Welshore [CR][NL]Community Hub on the Broadway at 7:30pm on Monday 27 June 2016. [CR][NL]Street drinking, homelessness and vulnerable people in and around Dean [CR][NL]Gardens and the rest of West Ealing are a cause for concern to the local[CR][NL] community. Meanwhile, nearby, the Ealing Soup Kitchen and St. John’s [CR][NL]Church, both, on Mattock Lane have been and still currently provide [CR][NL]support to the vulnerable people in hope that at least some of these [CR][NL]people will be encouraged to have a better lifestyle. [CR][NL]Mcleay elaborated on street drinking, homeless and vulnerable people and[CR][NL] the support offered by the Ealing Soup Kitchen for this community. He [CR][NL]told us that approximately 80% of their clients do drink. Sometimes the[CR][NL] reason for street drinking is homelessness and their adverse [CR][NL]circumstances. If the homeless don’t have a social network and are [CR][NL]mixing with others with similar circumstances, they are likely to get [CR][NL]into a habit of consuming alcohol excessively. A significant number of [CR][NL]these people hang out in Dean Gardens. So Ealing Soup Kitchen has also [CR][NL]set up an Ealing Evening Hub from 7-9pm on Mondays to encourage street [CR][NL]drinkers to give up drinking and get involved in more positive [CR][NL]activities here, where they are not allowed to drink alcohol. [CR][NL]Some of these vulnerable people feel very open to talk about their [CR][NL]situations while others may not like to reveal. These people might feel[CR][NL] afraid to disclose their circumstances. Mcleay revealed what impact, [CR][NL]the Ealing Soup Kitchen has had on vulnerable people who have been [CR][NL]supported. He said: “There are a significant number of success stories [CR][NL]that we have had. One of these vulnerable people is, Alan Simpson who [CR][NL]is our trustee. Simpson was our client for four years. He was living [CR][NL]on the streets. We managed to get him housed in a property in South [CR][NL]Ealing. As a result of his thankfulness Simpson came on board and he [CR][NL]networked with us. He’s one of the rarest homeless people I’ve met, in [CR][NL]the sense that he drinks in moderation. Simpson feels he doesn’t need [CR][NL]to have an alcoholic drink or get involved in drugs. He smokes. It’s [CR][NL]rare to be on the streets for so long and not have a mental health [CR][NL]problem, drinking problem or drug problem. These are the three things [CR][NL]one can be prone to while living on the streets. Living on the streets [CR][NL]can be a toxic lifestyle, sometimes.” One of the reasons why some of [CR][NL]these new initiatives have been set up is to try to improve the [CR][NL]lifestyle of vulnerable people, the local residential area and [CR][NL]surrounding areas in West Ealing. There’s been a sudden flurry of coming and going with local shops. The [CR][NL]97p store in the main road has closed. In fact, I’m told it’s one of [CR][NL]about three 97p stores that have closed in west London. Bensons for Beds[CR][NL] has taken over the old Morrisons on the corner of the Uxbridge Road and[CR][NL] St James Avenue. A Polish Credit Union shop has opened opposite Dean [CR][NL]Gardens. Leeland Road has seen a number of changes with the Salvation [CR][NL]Army charity shop closing and moving in to its hall almost next door. [CR][NL]The nearly finished new retail premises in Leeland Road has a lease [CR][NL]taken sign and Sumo has gone and Haru, a Japanese ramen noodle [CR][NL]restaurant, has come in its place. [CR][NL]WEN is a group of some 400 strong made up of West Ealing residents, [CR][NL]workers and visitors who want their town to be better for everyone. [CR][NL]Membership is free and available to anyone in the West Ealing community,[CR][NL] irrespective of background, race, ethnicity, nationality, sexual [CR][NL]orientation, political orientation, faith/non-faith, or gender.